Scientists are calling it the largest gold crystal to have ever been found. It was found by an unidentified collector in Venezuela and given to the Los Alamos National Laboratory in New Mexico. The crystal was received by an Ohio scientist who stated that the collector had it for decades. Researchers at Los Alamos National Laboratory estimate the gold crystal’s value to be $10,000, however, ‪because of its golf ball like size, and weight of 217.78 grams, it has an estimated worth of $1.5million. 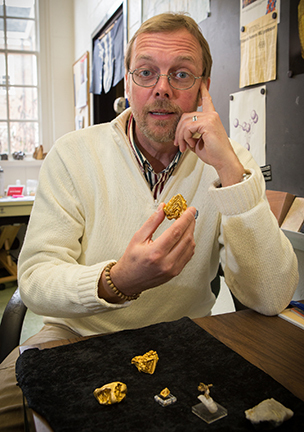 “The structure or atomic arrangement of gold crystals of this size has never been studied before, and we have a unique opportunity to do so,”John Rakovan, geologist from Miami University said.